7" American Flag Plates.Includes: 8 American Flag Plates.Dimensions: Approximately 7" Diameter.Complete your 4th of July or Veteran's Day celebration with these 7" American Flag Plates! Don't forget the matching tablecover, napkins, cups and cutlery to match! Includes: 8 American Flag Plates. 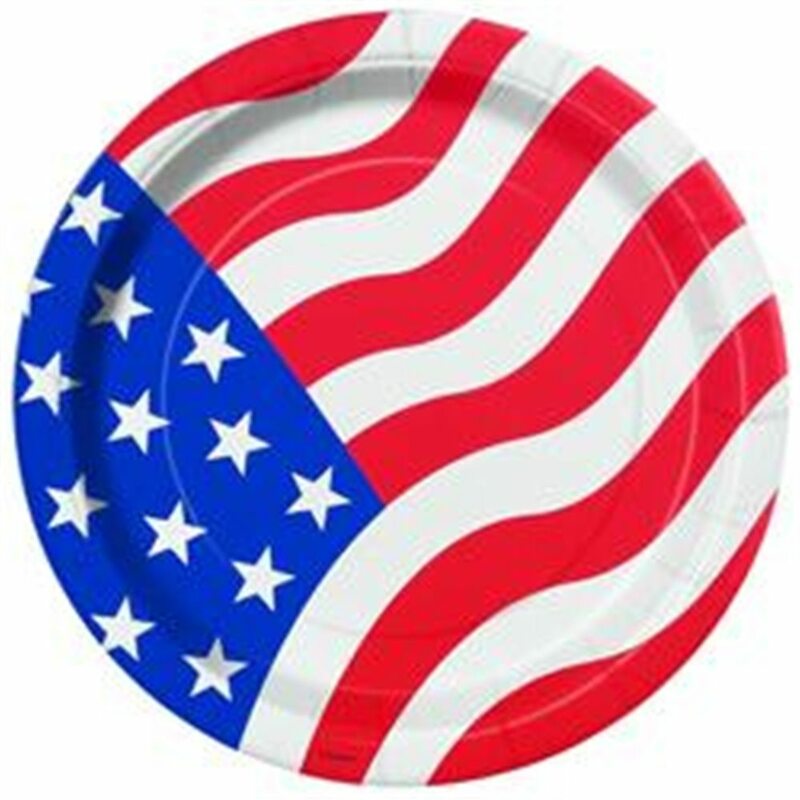 Complete your 4th of July or Veteran's Day celebration with these 7" American Flag Plates! Don't forget the matching tablecover, napkins, cups and cutlery to match!